©2013 45" x 45" Women and children left behind on the homefront experienced many hardships, especially those tasked with maintaining small farms while their husbands and fathers went off to fight in the Civil War. Anxious to escape this tough and challenging life, many young men left home to join the military, only to find it an even harsher life than they had at home. Feathered star quilts are often difficult to construct because of diamond-shaped pieces and Y-seams. 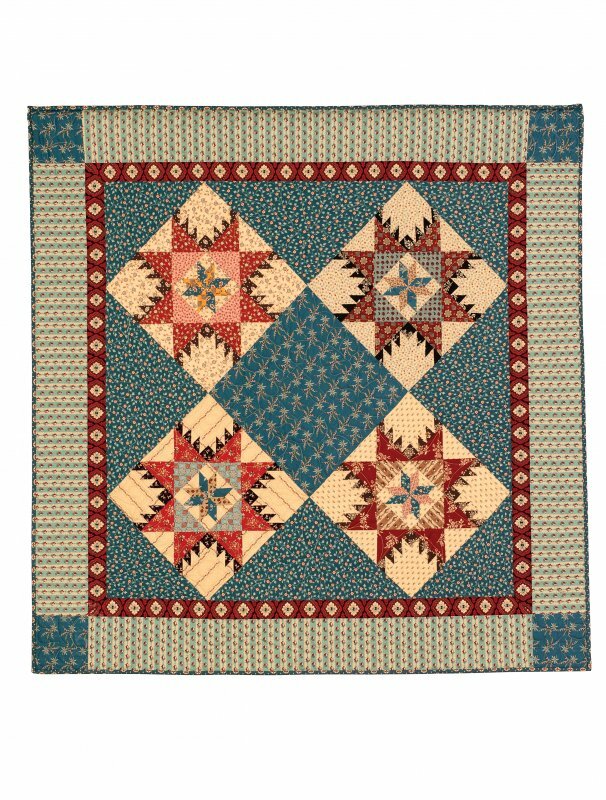 The Homefront quilt or table topper uses only half-square and quarter-square triangles to make the four 12-inch feathered stars.